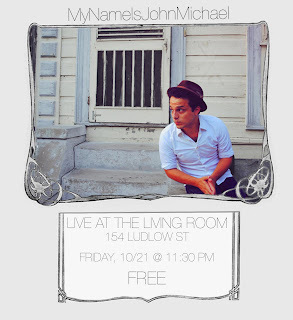 New York, head on down to The Living Room on Friday, October 21 and get your groove on! MyNameIsJohnMichael is coming back. The show is at 11:30PM and it’s FREE! That’s right folks, hot New Orleans flavor for free, what more could you ask for?